Check out our favorite places, with photos, maps, videos and more. There's no better way to put your Japanese to use than to live and work in Japan. An internship could be your ticket. So, you want to learn Japanese. Good news—you've come to the right place. 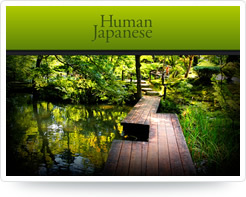 Human Japanese is software for your PC, Mac, iPhone, iPad, Android, or Windows Phone that teaches the Japanese language from square one in a warm and engaging tone. Featuring thousands of recordings, crystal-clear, down-to-earth explanations, intelligent quizzes and reviews, animations of hiragana, katakana and kanji characters, and much more, Human Japanese is everything you need to get started, brush up, or take your Japanese to the next level. 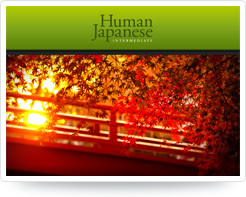 Learn more about what makes Human Japanese special by selecting a product below. 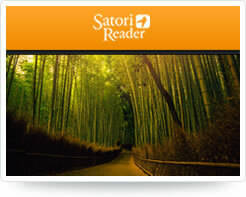 Or, if you already know the basics and are looking to put your Japanese to use, check out the newest addition to our lineup, Satori Reader, which presents Japanese reading material using an innovative system that adjusts the text to match your knowledge of kanji.